Shorty van with all aluminum body on a chev p10 chassis. 10 foot cargo area. 292 straight 6 engine on propane, automatic, showing 150000 kilometers. New starter, radiator and shocks, rebuilt transmission and good Michelin LT tires. It has two sliding seats from a vanagon. Security grate separates the driver from the back. Van is clean and in great working condition. 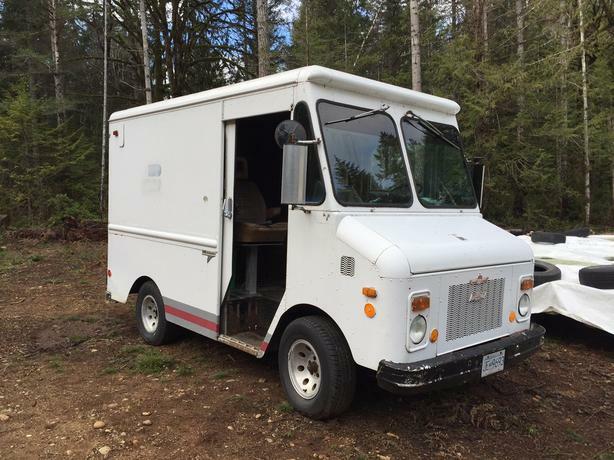 Ideal for tradesman or a conversion to a food truck.